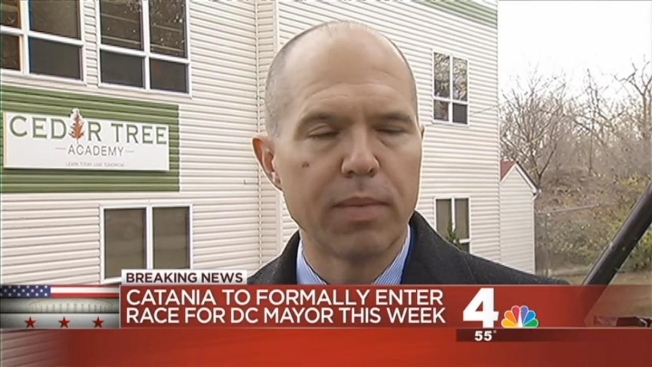 News4 has learned D.C. Councilmember David Catania will formally enter the race for mayor before the end of the week. The at-large council member has been exploring a run for mayor as an independent in the November general election. He was first elected to his at-large council seat in 1997 and is one of two openly gay councilmembers. Catania moved up his announcement after prosecutors Monday disclosed in court that Mayor Vincent Gray and others benefitted from the multi-million dollar campaign scheme financed by businessman Jeffrey Thompson who pleaded guilty to the schemes.